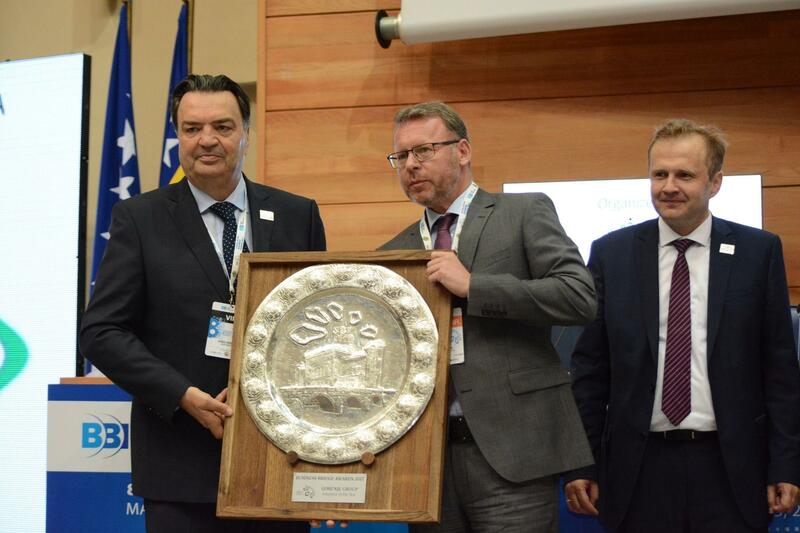 At this year's Sarajevo Business Forum (SBF), Gorenje Group won the Sarajevo Business Bridge Innovator of the Year Award. This award is given to individuals or businesses that have shown a significant degree of innovation and/or creative thinking, operating within the SEE Region. The innovation can be seen through the development of new methodologies, approaches, products or services which have met the needs of end-users. Gorenje Group earned the award as one of the leading European home appliance manufacturers, following its vision of becoming the most design-driven innovator in home appliance design in the world. 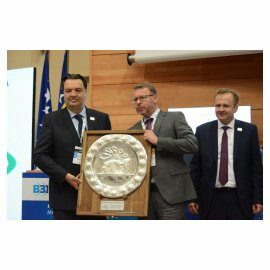 The award was presented to the managing director of Gorenje Commerce Robert Polšak at a festive ceremony held as a part of the SBF. Polšak explained that responsibility, innovation, and entrepreneurship were the key corporate values for the Gorenje Group. "We had a successful year 2016 in which we met all key goals, grew in our most important markets, and saw growth in our core activity. Our profit was up as well, our sales structure improved, and we attained the budgeted sales goals. We succeeded in all this owing to targeted marketing activities and investment into new product development which has been rising every year and reached 2.6 percent of total Gorenje Group sales revenue." Although operating in a mature industry, Polšak stresses, Gorenje Group has been successfully positioned as a design- and innovation-minded manufacturer, which is also witnessed by many prestigious international design and innovation awards won in recent years. "Thus, we are stepping into our future with innovativeness and decisiveness. We have developed a business strategy for the period from 2016 to 2020 to tackle the challenges lying ahead, and we have been successfully pursuing it. We also developed our digital strategy for an advanced and smart future of our operations, backed by contemporary technology and tailored to meet the end users’ needs," commented the managing director of Gorenje Commerce.